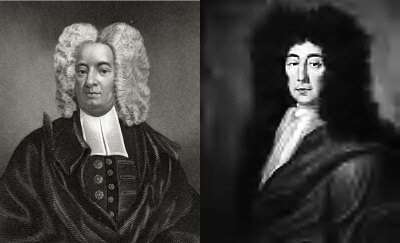 Our story of Cotton Mather and Joseph Dudley begins in 1686. Cotton Mather has just assumed leadership of the Second Church of Boston, lifting the burden from his father, Increase, who was named president of Harvard College. Increase Mather was one of the most powerful ministers of his day, and Cotton was eager to make a name for himself and rise to the level of influence of his famous father, and grandfathers (Richard Mather and John Cotton). King James II had thrown the colony into turmoil, revoking its charter, which had allowed the colony to choose its own leaders and largely govern itself. He replaced the government with his hand-picked appointee, Edmund Andros. Andros’ second in command was Joseph Dudley (who governed on an interim basis in 1685 while Andros’ appointment was finalized). While Andros issued offensive new rules, such as banning town meetings, levying new taxes and trying to give away public lands, Dudley enforced his decisions as judge. Dudley was the son of Thomas Dudley, who arrived in the new world in 1630 and served four terms as governor of the Massachusetts Bay Colony. A founder of Cambridge, he was a devout Puritan. Andros did not like the Puritans, and not only curtailed the functions of local government, but also began extending protections to people of other churches. Dudley was a strict believer in the legitimacy of royal power. Even if he disagreed with Andros, as an agent of the king he would not have challenged his authority. The remark would haunt Dudley. Against this backdrop, in 1688, Cotton Mather was called upon to pray for the health of the children of one of his parishioners, John Goodwin. Goodwin employed a cleaning woman, Ann “Goody” Glover. Originally from Ireland, she had come to the United States via Barbados. She and her family were among thousands of Irish that the English government forcibly deported to the West Indies as indentured servants in the 1640s. By 1688, she was an elderly cleaning woman, widowed and living in Boston. Glover had an altercation with one of the Goodwin children over some missing cloth, and shortly thereafter the children began feeling ill.
A doctor was called in, and he diagnosed the children as suffering from witchcraft. With Joseph Dudley now serving as judge and Cotton Mather as one of Glover’s chief accusers, the two oversaw Glover’s conviction for witchcraft. She was hanged. Her real sin was not witchcraft, but being Catholic. Had she renounced her Catholicism, she likely would have been spared. 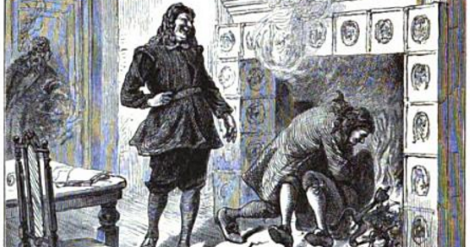 The case foreshadowed the 1692 witch hysteria in Salem, in which the Mathers played a role. Cotton Mather famously, in the Salem case, wrote that spectral evidence could be used, but should not be the sole reason for convicting someone. The alliance between Cotton Mather and Joseph Dudley was short-lived. In 1689, news of the overthrow of King James II reached Boston and angry colonists arrested Andros, Dudley and other appointees of the King. They were soon shipped to London to answer charges of 119 illegal acts, including that they had tried to steal public lands, stole customs payments, and ruled arbitrarily, along with other allegations. Andros was replaced with the previously elected government, and the Puritans began their lobbying to have this form of government returned permanently. In his reply to the charges levied by Cotton Mather, Dudley denied the allegations against him and blamed Andros for the complaints. Though the charges were submitted by seven men of the colony, in London there was no agent of the colony to prosecute and so Dudley was set free, a loose cannon. Soon Dudley was back in America, this time serving as judge in New York. Here, support for James II was stronger and democracy not well established. When colonists, led by Jacob Leisler, revolted against the colonial governor there was no unanimous support. When the new king, William, sent his instructions to the colony, Leisler was arrested. Dudley was appointed to a judgeship in New York and presided over the trial that sentenced Leisler to death. Mather would charge Dudley with being bloodthirsty and high handed in advocating the death penalty, though Dudley would dispute that. 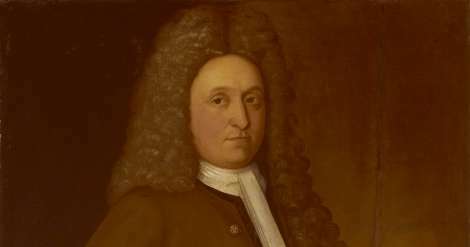 In 1693, Dudley – universally unpopular – returned to England to begin building his case to become governor of all of New England. The idea that Cotton Mather would become his most important ally in regaining power might seem preposterous, but that is exactly what happened. Increase Mather had served as Massachusetts’ envoy to England in 1690, in an effort to lobby the new king to restore the original colonial charter that allowed Massachusetts citizens to elect their own governments. He lost support back home when he acquiesced to a replacement charter that reserved more rights for the king. Increase lobbied his friends to return him to London, but he was blocked. Dudley, meanwhile, living in England and acting as deputy-governor for the Isle of Wight, was pulling every string he could to try to win his way back to New England. He succeeded in having the Mather’s hand-picked governor, William Phips, arrested and brought to England to face dubious corruption charges. Phips died before he could clear his name. But still Dudley’s reputation was so blackened that he could not win the king’s appointment to govern New England. Richard Coote, 1st Earl of Bellomont won the appointment in 1695. Dudley chanced on an idea, however. Hearing of Increase Mather’s difficulties in returning to London, he reached out to Cotton Mather with a promise to advocate for his father’s return. The Mathers both desperately wanted this, and thinking that Dudley was now an ally and controllable, Cotton Mather wrote a letter in support of Dudley’s return to Massachusetts as governor. With Lord Belomont’s death in 1701, and the Mathers now in his pocket, Dudley sought and received the appointment he coveted – a return to New England as its governor. It would not take long before Cotton Mather recognized his mistake. Almost immediately Dudley double-crossed the Puritan minister. Mather had advised Dudley who he should take advice from and who he should not trust. Dudley immediately passed on Mather’s opinions to his enemies, infuriating all involved. Mather also sought appointment as president of Harvard to replace his father, but Dudley declined to give it to him and chose John Leverett instead. The high-handed treatment of Mather was completely in character for Dudley, but whatever joy he found in the doublecross was certainly tempered by the storm of controversy he brought down upon himself. Both Mathers now took up their pens and pulpits and began railing against Dudley. He was a murderer (in the case of Leisler), they charged. A thief of public funds. He illegally traded with France, they alleged. He smuggled and usurped fishing rights from the colonists. The list of grievances was enormous. Many of the charges against him were flat out fabrications and exaggerations, but Dudley spent considerable time in rebutting them, and had to travel to England for a hearing with the Board of Trade. But the die was cast. There was no turning back, and Dudley would retain his post until 1715. Finally, however, Dudley was undone. A group of businessmen wanted to print money to back a bank proposal, and Dudley thwarted them, instead arguing the colony should fund the proposal by borrowing and thus protecting the value of currency already in circulation. This decision added too many people to the list of enemies who hated Dudley and, with much lobbying, he was replaced by England. 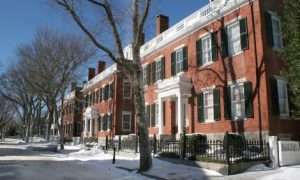 The animosity between Dudley and the people would set the tone for relations with the government in New England for the next 50 years, long after Dudley died in 1720 at his Roxbury home.